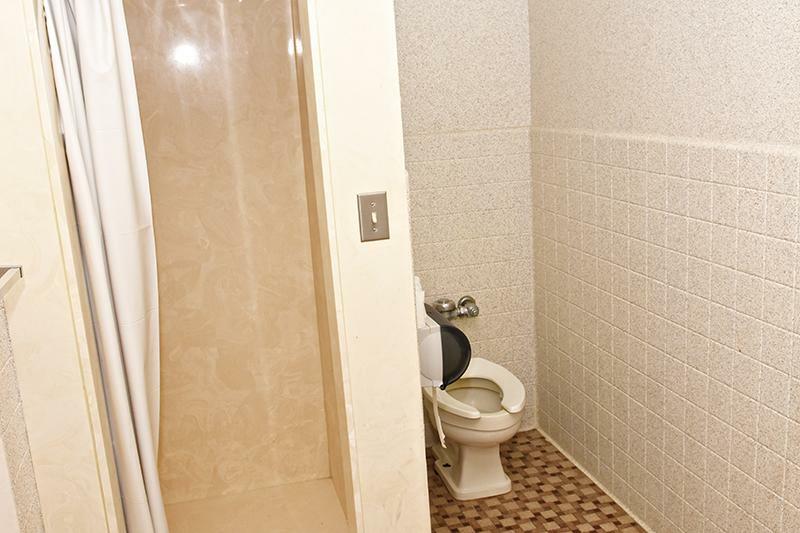 Lamar Hall features suite style living arrangement with a bathroom between two rooms. 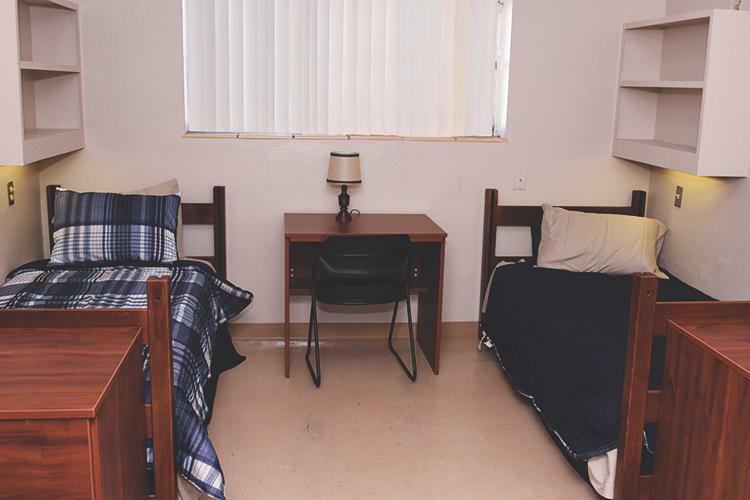 Each room is shared by two men and furnished with two extra-long twin beds, a desk, chest, closets and small vanity with a sink. 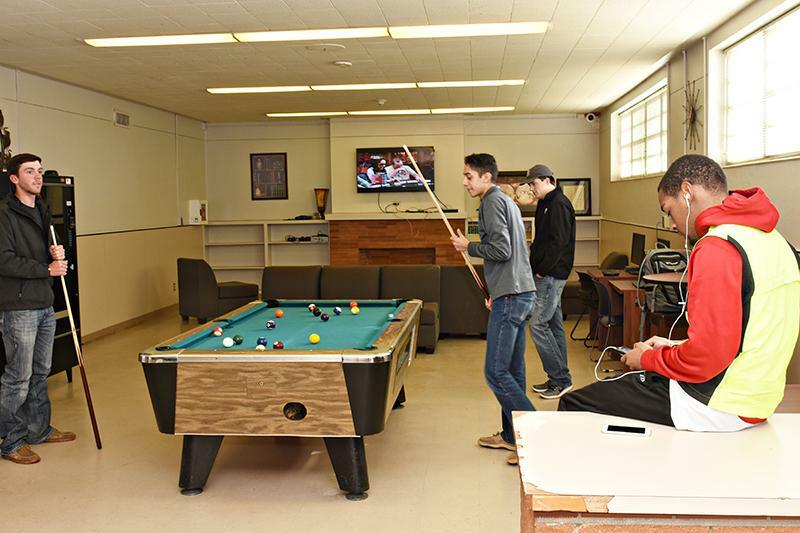 Other building amenities include laundry facilities, a common area with TV, lounge chairs, vending machines, and a pool table.